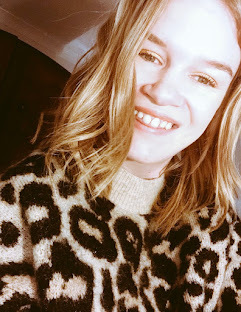 You catch me this on a Saturday afternoon listening to a bit of Spice Girls after having such a productive morning I was in the mood to write a blog post, I was also very much aware of not blogging much in March and wanted to start April off with a bang. I am very inspired by Old Hollywood again and this got me thinking about doing a Old Hollywood post as I haven't done one in quite a while and that is what I started my blog all about. With that in mind, I wanted to start off with one of my absolute favourite icon's Audrey Hepburn. The other day I came across these gorgeous photos of Audrey from Tumblr and for the first time it quite a long time I became obsessed with them and all of a sudden I fell in love which made me get excited about Old Hollywood Glamour like I did way back in 2015. For a moment I felt alive and I loved it, I remember saving them onto my phone and thinking to myself 'wow, I never seen these before'. How cool does this Burger King look, the decoration on the outside is everything and that beautiful car just parked outside. Why aren't you mine.. and why can't all Burger Kings look like this! Then we have Rita Hayworth of course.. what can I say about Rita. Well how photogenic do you have to be to look like this? She never took a bad photo. That smile of hers is so infectious and that is why so many people loved her. She was and always will be a superstar. Last but not least we have Ginger and Fred such an icon pair! Just look at them, they are truly wonderful.